But Carnival is actually more than just scary masks, music, and dancing. 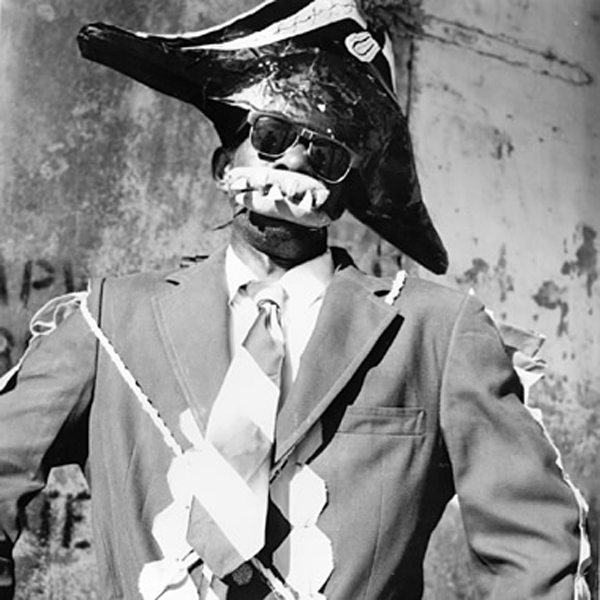 There are a number of groups who decorate themselves symbolically in a way that portrays a time in Haiti’s history. For instance, there are the Chaloska, who “mimic Charles Oscar Etienne, chief of police who in 1915 killed the political prisoners which led to the fall of Vilbrun Guillaume Sam and then to the American occupation.” (Thanks Christina Schutt!) Their enormous red mouths filled with large protruding teeth make them hard to miss, and they march down the roads acting out the prosecution of said political prisoners. It’s actually kind of creepy, but incredibly interesting at the same time.